Jo qualified from Bristol University in 1998 and has been with Quantock as a Registered Nurse for nearly 20 years. Jo has had brief spells away to have children and work at Musgrove Park Hospital as a Maternity Care assistant. Jo has been Head Nurse since 2009 and enjoys leading her hand picked team of dedicated Qualified and Student Nurses and Animal Care assistants. 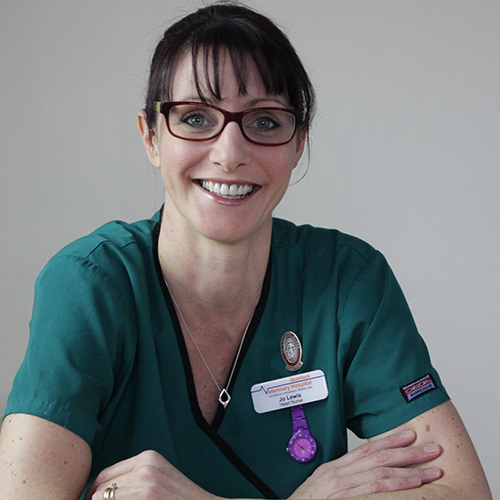 Jo enjoys medical nursing and radiography and holds the BSAVA Merit award in Medical nursing (2016).